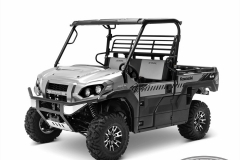 Kawasaki Motors Corp., U.S.A. (KMC) is proud to announce its new advertising campaign with Hall of Fame Wrestler Steve Austin to follow the introduction of the all-new MULE PRO-FXR™ side x side. 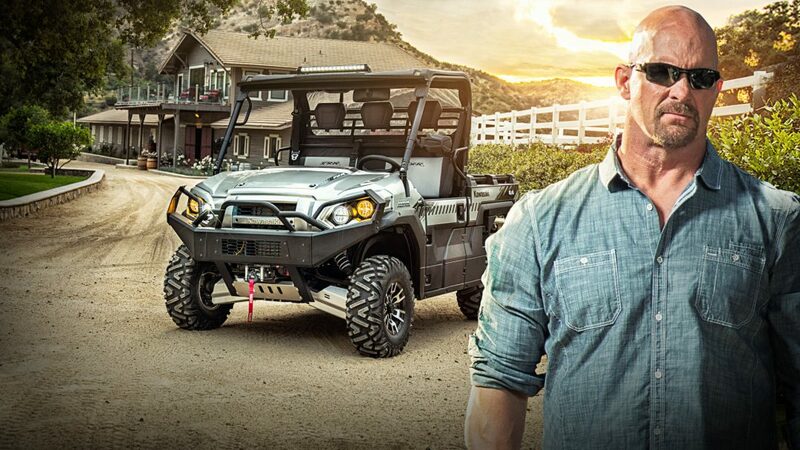 Austin, a television and movie personality and creator of the hit show “Steve Austin’s Broken Skull Challenge,” has been working with KMC since 2015. 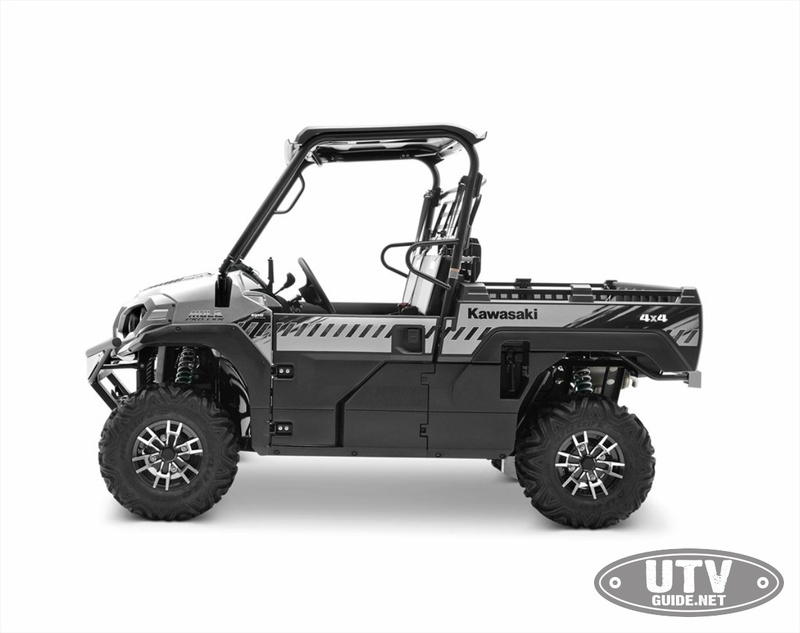 He will host commercials primarily featuring the MULE PRO-FXR model, and showcasing the full line up of MULE™ side by sides. 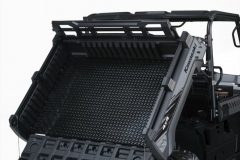 He will also be the face of technical videos highlighting the benefits of the MULE vehicles, and showing just how Kawasaki STRONG they are, alongside Kawasaki chief product developers. As a part of the Kawasaki MULE’s 30th anniversary celebration, be on the look out for the television spots on a wide array of channels, including: ESPN, Outdoor Channel, The History Channel, CBSSN, FS1, FS2, RFD-TV and DirecTV. 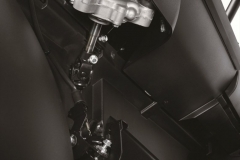 The commercials which are live now, and technical videos which are set to air later this year, will be available for viewing on KMC’s website, located at www.kawasaki.com, and its social channels: Facebook.com/KawasakiUSA; Instgram @KawasakiUSA and YouTube.com/KawasakiUSA. 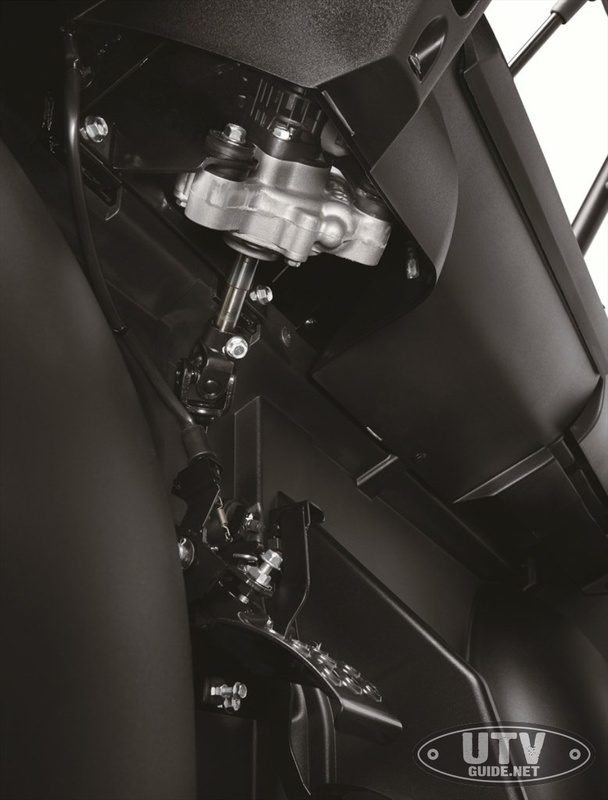 Developed alongside the MULE PRO-FXT™ and PRO-FX™ models, the new MULE PRO-FXR side x side shares the same engine and smooth acceleration, meaning it’s still the fastest most powerful MULE ever built, with independent suspension, powerful disc brakes, effective engine braking and EPS, speed-sensitive power steering. 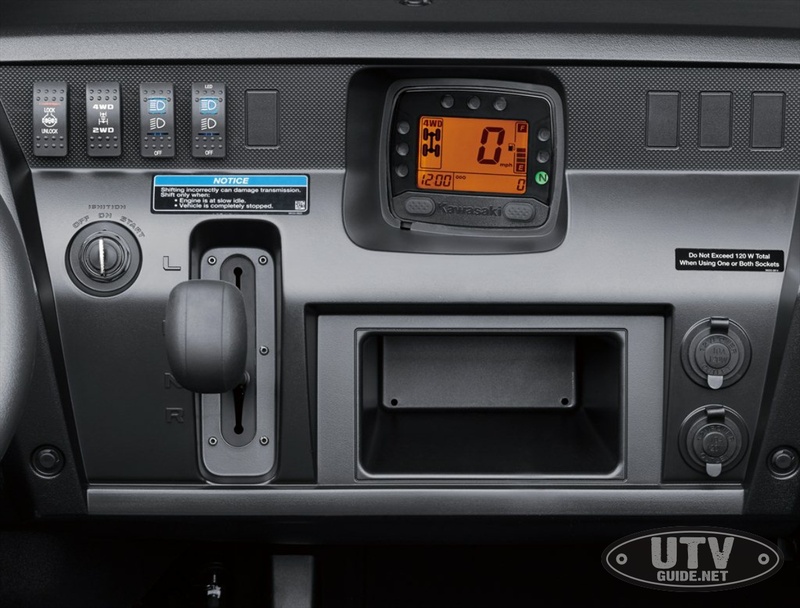 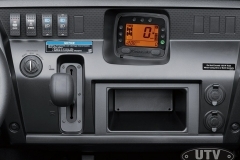 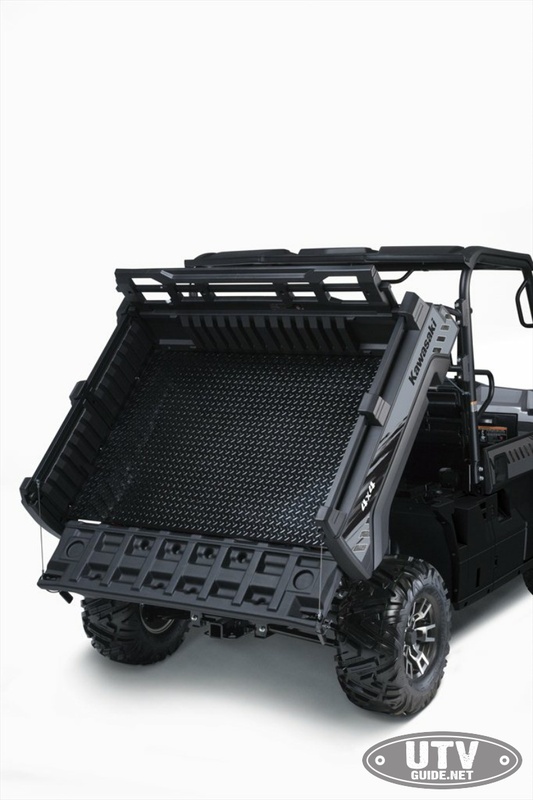 All of that is packaged into a more compact design, shorter than the other MULE PRO models, with improved ground clearance and turning radius. 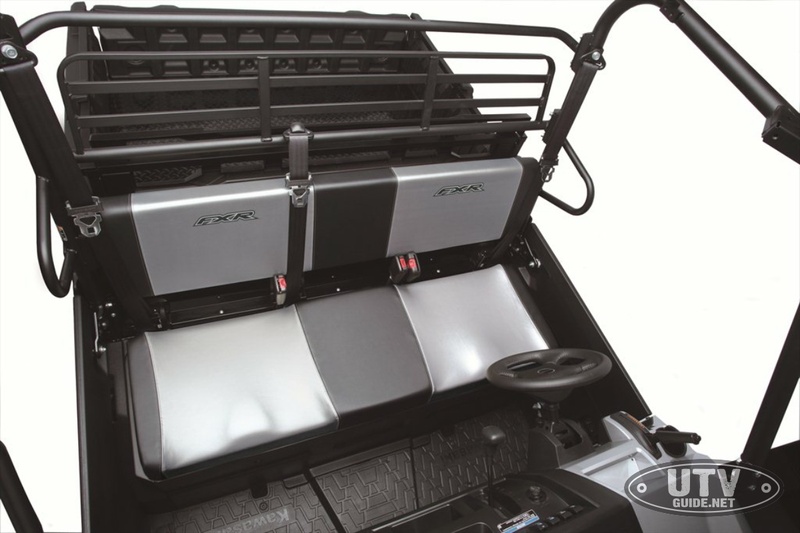 Designed to appeal to someone who likes to play as a hard as they work, the styling of the MULE PRO-FXR side x side has a tough, truck like appearance with a painted hood, grill, front and rear bumpers. 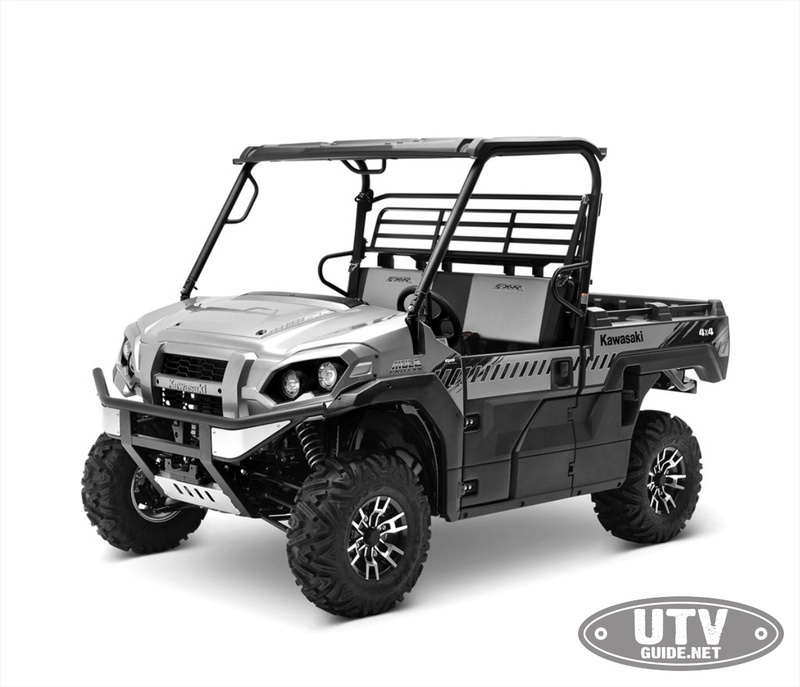 It features premium components such as low-profile LED inner and a seating capacity for three with its contoured two-tone seats. 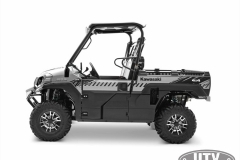 It’s powered by a 812cc three-cylinder fuel injected engine that offers plenty of power with smooth acceleration and sits on a STRONG chassis which provides nimble handling and a tight 14.1-foot turning radius. 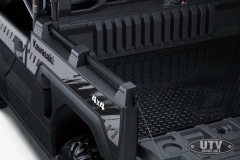 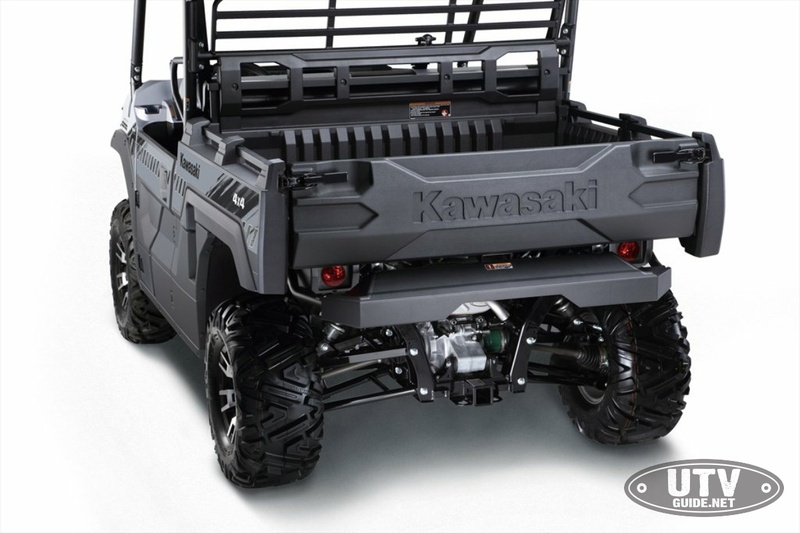 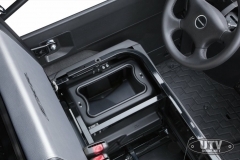 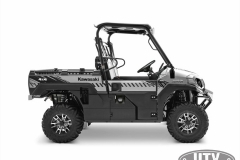 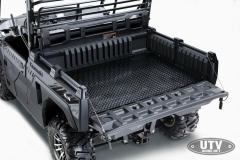 While it has a recreational side, the MULE PRO-FXR is still built Kawasaki STRONG with steel cargo bed that has a 1000-pound carrying capacity (600-pound carrying capacity in California) and the ability to tow up to 2000 pounds. 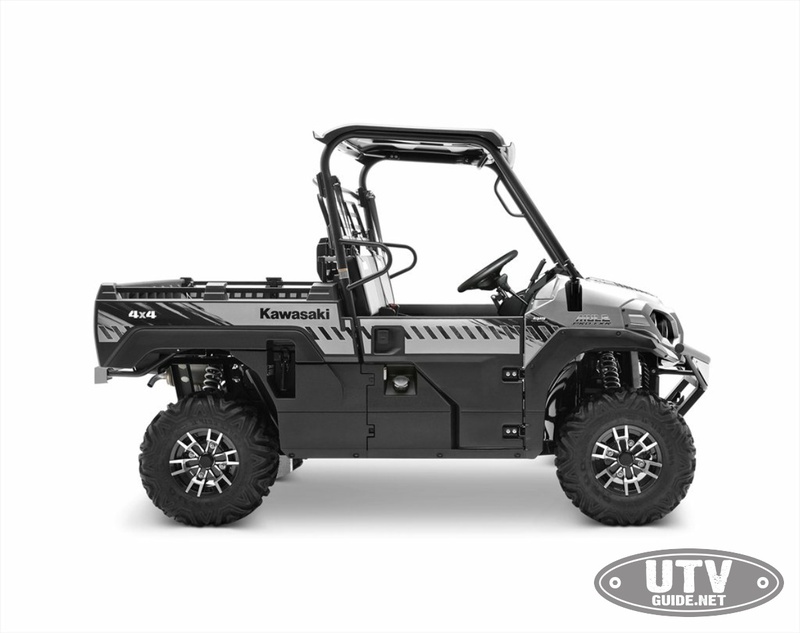 With this much capability, the MULE PRO-FXR is sure to impress your neighbors, even if the closest one is a half-mile away.